#BREAKING: TRUMP ORDERED MUELLER FIRED BACK IN JUNE, BUT BACKED OFF WHEN THE WHITE HOUSE COUNSEL THREATENED TO QUIT. 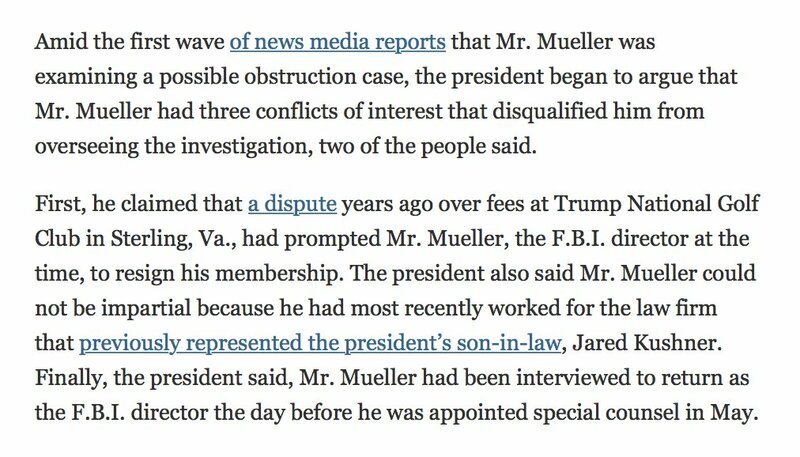 "Mueller learned about the episode in recent months as his investigators interviewed current and former senior White House officials"
#BREAKING: TRUMP CONSIDERED FIRING ROSENSTEIN! THIS IS NOT HOW INNOCENT PEOPLE ACT.